In 2017, we wrote a report on the Airbus (OTCPK:EADSF) A350 failing to gain traction in North America as the major US legacy carriers including American Airlines (AAL) were evaluating their fleet requirements and what role the Airbus A350 could play in that fleet. We also pointed out that while the airlines were re-evaluating, we continue to believe that the time for the Airbus A350 will still come. After several months of negotiations between American Airlines and jet makers Boeing (BA) and Airbus, Boeing ended winning an important order from American Airlines. In this report, we have a look at the order and why it makes a lot of sense for American Airlines to commit to the Boeing 787 at this stage. Decisions to acquire aircraft or order aircraft aren’t made overnight and it is important to understand why airlines first order a certain aircraft type only to backtrack later on. Looking at the history of the order therefor does make sense. In 2005, 13 years ago, US Airways ordered 20 Airbus A350-800 aircraft. Two years later the airline added another 2 units to the A350 order book. Deliveries were scheduled for 2014, but the airline deferred deliveries to 2015 and later to 2017. In between, US Airways merged with American Airlines (AAL) but the new combined company also seemed to have little to no appetite for the A350. The airline converted all orders to the Airbus A350-900, but in June 2016 deliveries were delayed by another year and another deferral followed putting the first deliveries in late 2020. From the original schedule deliveries had been delayed by 6 years, the order was 13 years old and had experienced 4 deferrals. This raised some questions on the airline’s eagerness to add the Airbus A350 to its fleet. In 2013, American Airlines ordered the Boeing 787. When US Airways and American Airlines merged, two fleet strategies collided. 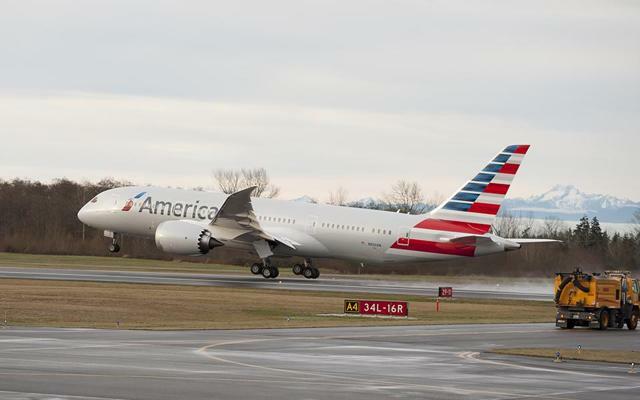 After already having ordered the Boeing 787 in 2013, American Airlines has now committed to the purchase of another 47 Boeing 787 aircraft, split between 22 Boeing 787-8s and 27 Boeing 787-9s. The aircraft will be equipped with GE (GE) GEnx-1B turbofans. The smaller Boeing 787-8 will be used to replace the Boeing 767-300ER, while the bigger Boeing 787-9 will replace the Airbus A330-300 and the Boeing 777-200. As a consequence, the Airbus A350 order placed by US Airways has been completely omitted. Also included in the agreement with Boeing is the deferral of up to 40 Boeing 737 MAX 8 deliveries previously scheduled to arrive between 2020 and 2022 to 2025-2026. The deal for the Dreamliner jets is valued $12.3B at list prices, though AeroAnalysis steep discounts can be expected. A major advantage that Boeing had during the negotiations was that the Boeing 787 was already active in the fleet of American Airlines. So the airline knows the capabilities of the aircraft as well as the performance, which is a major advantage. The introduction of the Airbus A350, while being smooth for many airlines, would have resulted in the addition of another aircraft platform to be supported which costs money. By sticking to the Boeing 787, American Airlines is eliminating two aircraft types from its fleet, namely the Airbus A330 and Boeing 767, instead of eliminating two types and adding one to replace those two types. Currently American Airlines has a fleet of 24 Airbus A330 aircraft; 15 Airbus A330-200 aircraft and 9 Airbus A330-300s. 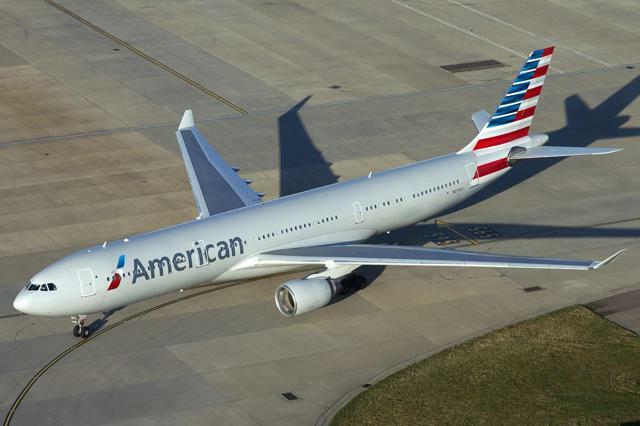 The A330-200 fleet is quite young and with the Boeing 787-9 deliveries starting in 2023, American Airlines can sell the relatively young aircraft at good prices. The Airbus A330-300 fleet is largely leased but with shorter lease terms meaning that the entire Airbus A330 fleet can be disposed in the coming years. The Boeing 767-300ER fleet of 24 aircraft seems to be completely owned by the airline with the oldest aircraft nearing the retirement age at the moment the Boeing 787-8s start arriving. We think that the acquisition price has played a major role in the negotiations. At an earlier stage American Airlines mentioned that the number of ordered units, which was 22, for the Airbus A350-900 was too small for the airline. We think that that was a way to get the price of the aircraft down. An important observation is that the Boeing 767 and Airbus A330 are smaller than the Airbus A350, so as a replacement for those aircraft the Airbus A350 makes little to no sense. So a discounted Airbus A350-900 would have made sense to function as a replacement for bigger aircraft in the fleet of the airline. In the end, however, it would boil down to Airbus dropping the pricing of its Airbus A350 to the level of the Boeing 787 and since the negotiations were about the A330/B767 replacement additional discounts to make the aircraft cost efficient on the missions of the Airbus A330 and Boeing 767-300ER would have been desired. Ultimately, the acquisition price of the Airbus A350-900 was too high compared to what we think Boeing could offer. We believe that Airbus had no possibility to offer the Airbus A350 as a suitable solution in terms of pricing as well as range and payload capability of the aircraft. The Airbus A350 is simply too big for that. The Airbus A330neo seemed to be a more fitting solution instead of the Airbus A350. This might have been where Boeing has dropped pricing to be competitive with the A330neo in terms of acquisition prices or Airbus has been unwilling to increase discounts carrying the costs of an A330neo/787 mixed fleet solution. What discounts were or were not given is something that remains unknown, but it is highly likely that Airbus has been inflexible on the pricing of its new engine option Airbus A330 while Boeing clearly already had an advantage being first-to-fleet and cost improvements on the Dreamliner program might have enabled the jet maker to give steeper discounts that will require Airbus to follow if it wants to win any order. Given the fact that the Boeing 787 was already active in the American Airlines fleet, the selection of the Boeing 787 does make a lot of sense. It was already clear that the Airbus A350 was not the airline’s preferred pick and we believe that while Airbus was at a disadvantage in negotiations they have been inflexible in pricing whereas Boeing was able to play around with the pricing a bit and offer services solutions. If Airbus had any chance to provide the replacement for the Airbus A330 and Boeing 767, they certainly lost it as Boeing could leverage strong cost improvement on the Dreamliner program as well as their services business to secure the deal. Given the difference in the price tag of a Boeing 787 and Airbus A350, the choice for the Boeing 787 not only means sticking to a single platform but also means a reduction in CapEx. The order going to Boeing is not so much a blow to the Airbus A350 program, but can be considered a bigger blow to the Airbus A330neo program which could have gotten the order and could use another high profile customer. We expect that also for the replacement of the Boeing 777-200ER, Boeing has the upper hand. Although, depending on the exact mission requirements, an Airbus A330-900neo or even a discounted Airbus A350-900 could be an option in the future. So Boeing clearly has won the round for the Boeing 767/A330 replacement and seemingly has the upper hand to provide a Boeing 777-200ER replacement to American Airlines, but we should not rule out Airbus for the future. 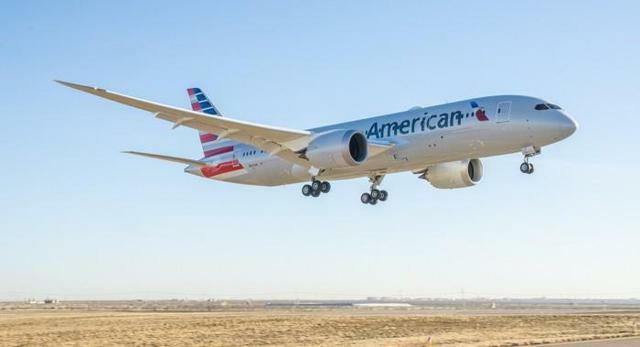 American Airlines is now looking for fleet simplification and that bodes well for the Dreamliner which fits well in the American Airlines fleet, but we do not know whether the strive for simplification will continue driving the airline’s fleet decisions going forward as well. Though we are convinced this is a meaningful win for Boeing, we also think that everything combined American Airlines at this point has sent out a strong signal is not interested in the Boeing 797 at this stage. Thank you for reading this article. If you enjoyed reading this article, don’t forget to hit the Follow text at the top of this page (below the article title) to receive updates for my upcoming articles. Disclosure: I am/we are long BA, EADSF, GE.